Sustainable: meets the needs of the present without compromising the ability of future generations to meet their own needs. For example, it would be a method of harvesting or using a resource, such as soil, so that the resource is not depleted or permanently damaged. Sustainable is to grow with gratitude leaving it better than we found it. Local: refers to how our food is produced and reaches us. Continuously, refining our local network closer to our community: California, San Luis Obispo County, and ultimately near to our home in our immediate community, neighborhood, and yard. Organic: food produced using methods that do not involve modern synthetic inputs such as synthetic pesticides and chemical fertilizers. Organic foods are not processed using irradiation, industrial solvents, or chemical food additives. 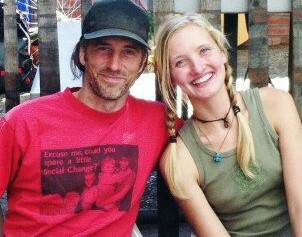 Eat SLO is more about long term Sustainable, Local, Organic community exchange, than short term profit, greed, capitalism. Growers =farmers, gardeners, bee keepers, CSAs, farm stands etc. Suppliers =from farms to farmers markets, food co-ops, distributors, non-grower CSAs etc. Preparers =restaurants, cafes, food trucks etc. Consumers = health conscious people who care about what they put into their body. We Eat SLO for our health. Ultimately, everyone will Eat SLO to be healthier too.